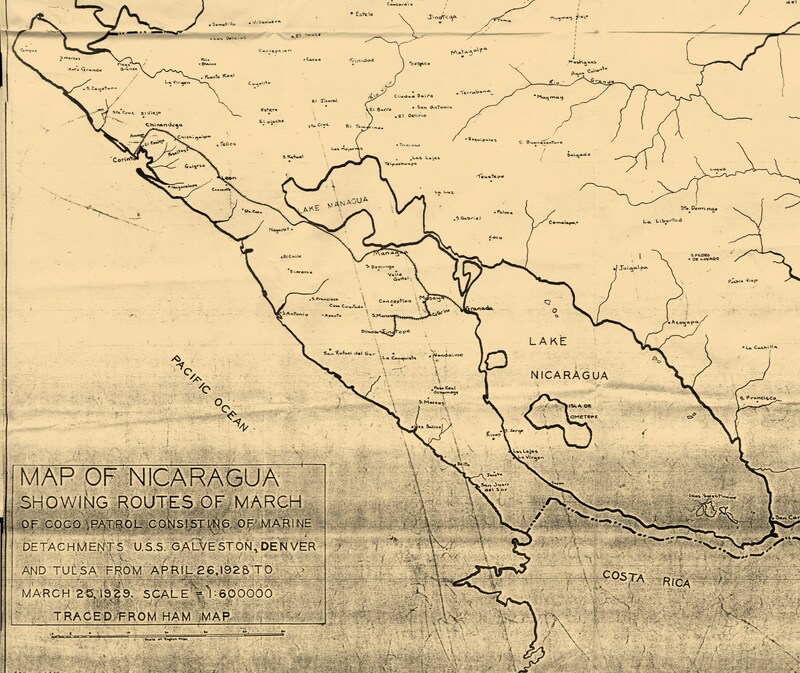 This page houses the map described on the title & legend at right — the route of the quasi-legendary Río Coco patrol led by Capt. Merritt A. "Red Mike" Edson in 1928-29, as so ably examined by David C. Brooks in his 1989 JLAS article. 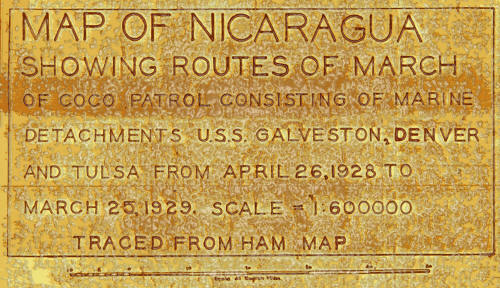 Traced from the 1924 Clifford Ham map, and measuring 35 inches high x 32 inches wide, the map is housed in RG127/196, and should be read in combination with the series of telegrams and reports on the Río Coco Patrol housed in the EAST COAST PAGES. 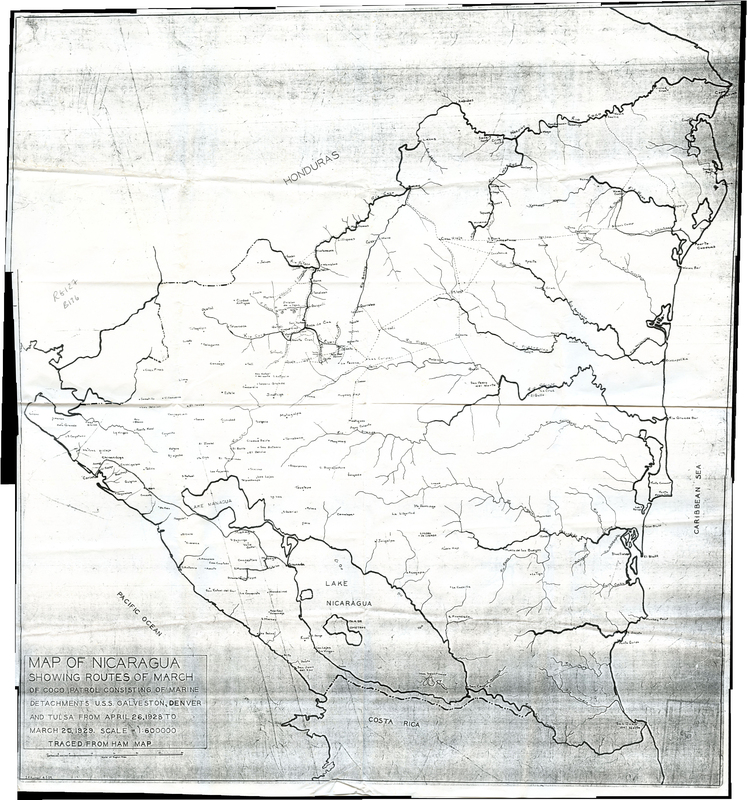 The map presented here is a panoramic stitch of scans of a photocopy. 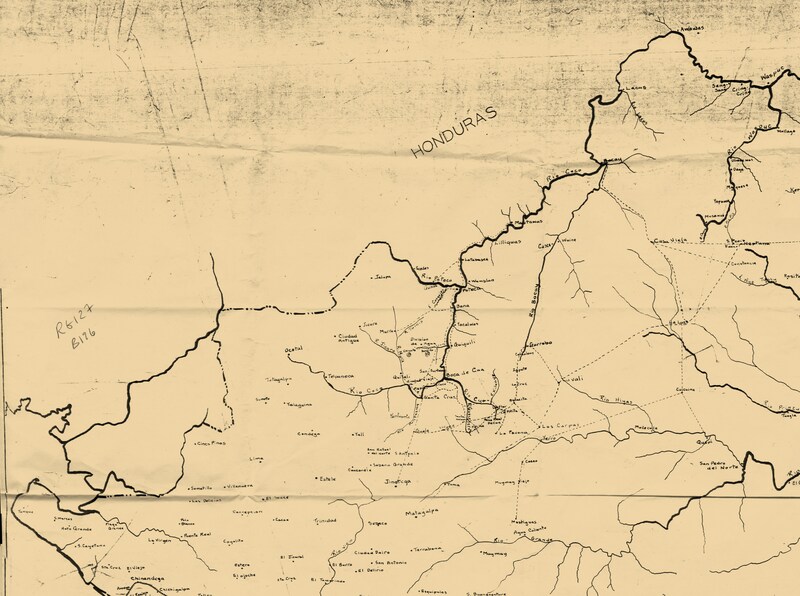 The first image shows the whole map (43MB). The next four images show the NE, NW, SE, and SW quadrants in JPEG files of around 5 MB each. 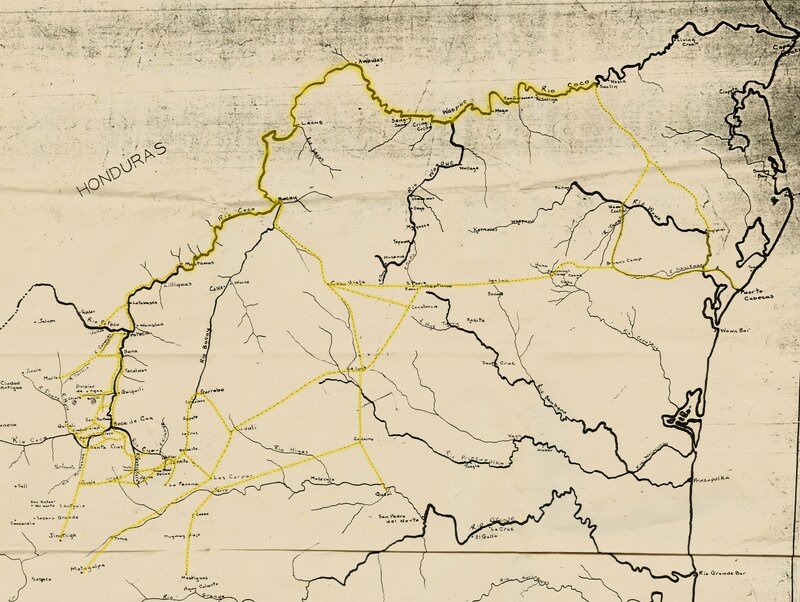 The next image highlights the route of march in yellow. 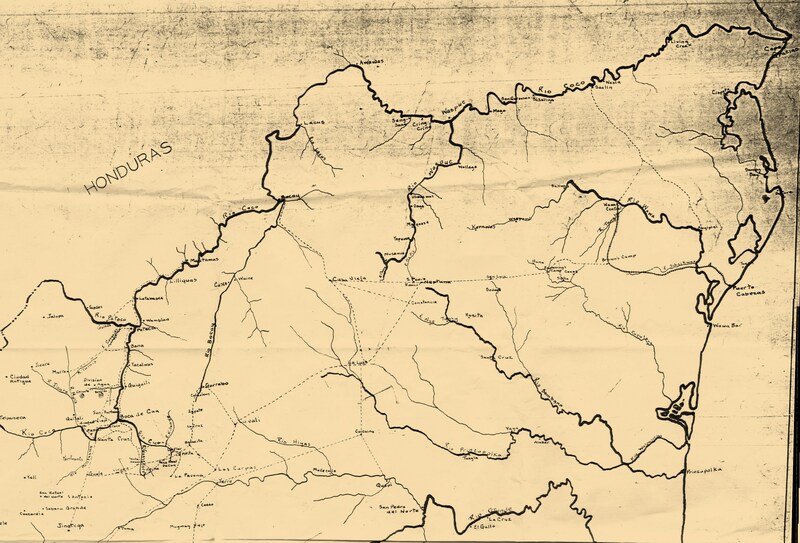 Northeast quadrant, from Cabo Gracias a Dios & Puerto Cabezas all the way to Quilalí and the northeastern Segovias, and showing most all the route of march (4.7 MB). 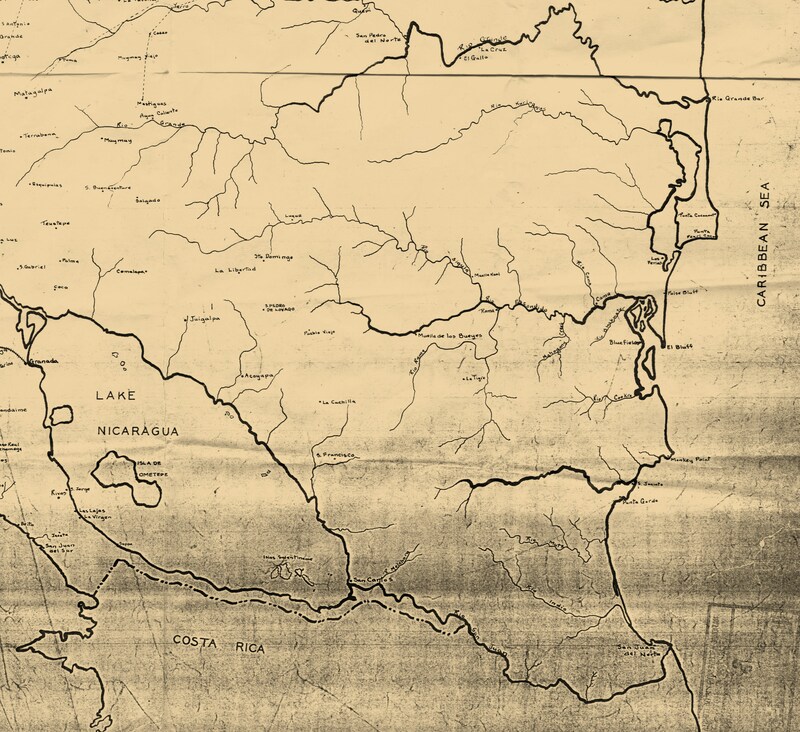 Southwest quadrant, with map title and scale.